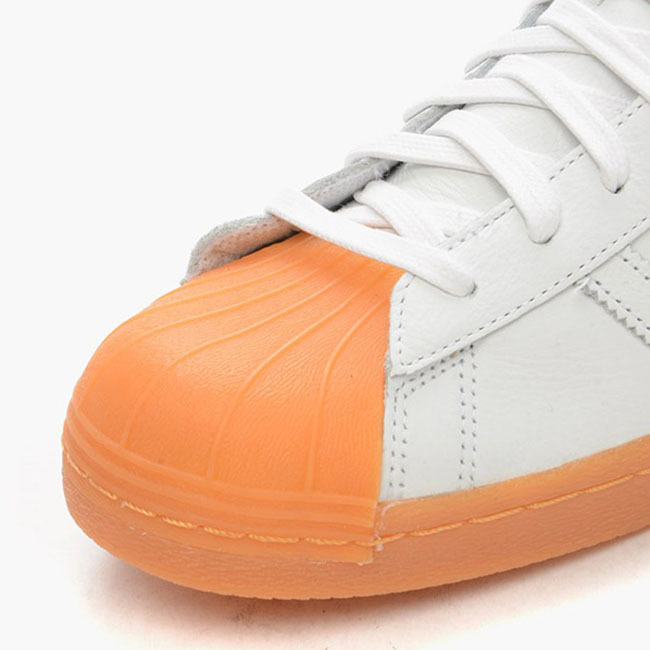 adidas Originals is slowly unveiling their new Gum Toe pack. 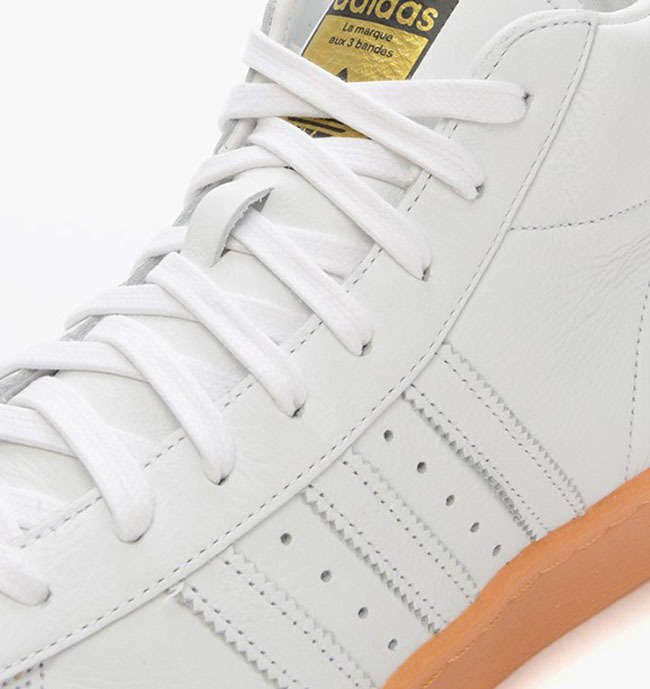 Earlier we gave you a closer look at the ‘Gum Toe’ adidas Superstar 80s edition and now the adidas Pro Model ‘Gum Toe’ is starting to become available. 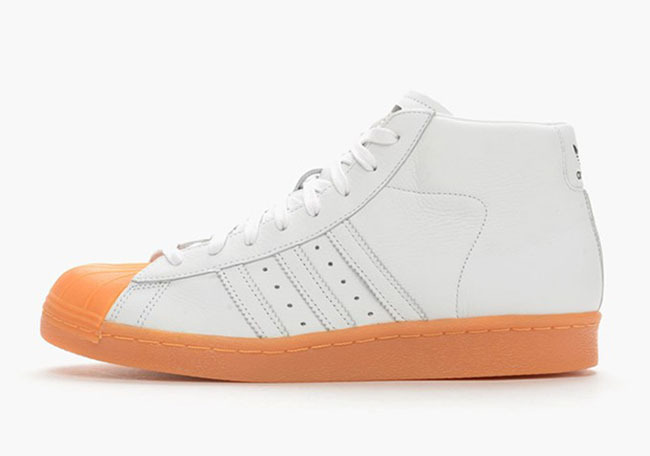 The color blocking on this adidas Pro Model is much like it’s predecessor. 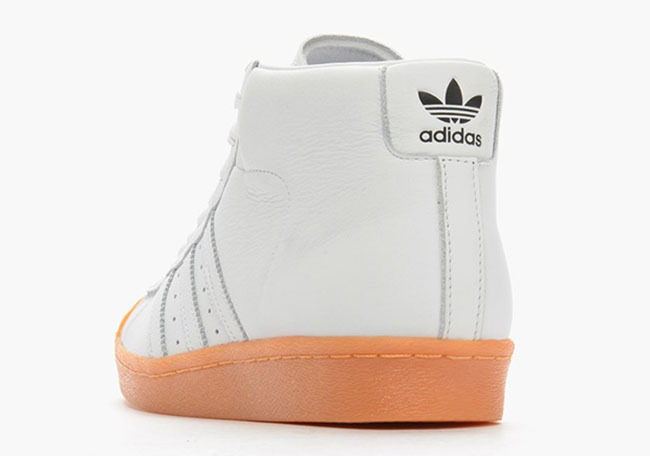 The uppers feature a White leather while Gum detailing is place on the toe, midsole and outsole. 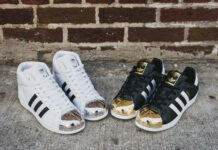 Other details include Black on the heel and a mixture Black and Metallic Gold on the top of the tongue. 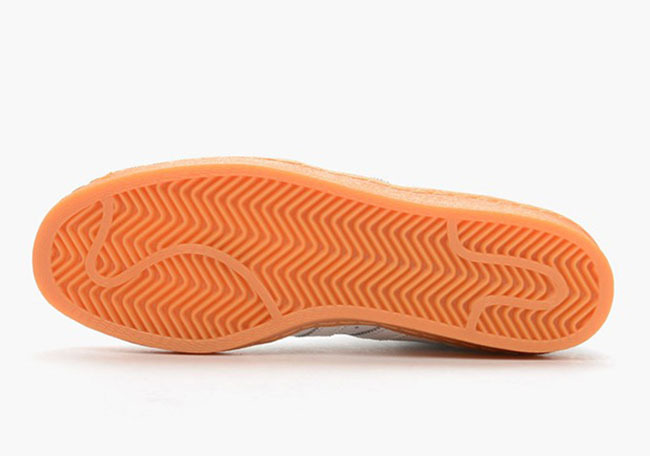 Below are additional photos of the adidas Pro Model Gum Toe which will give you a closer look at this release. 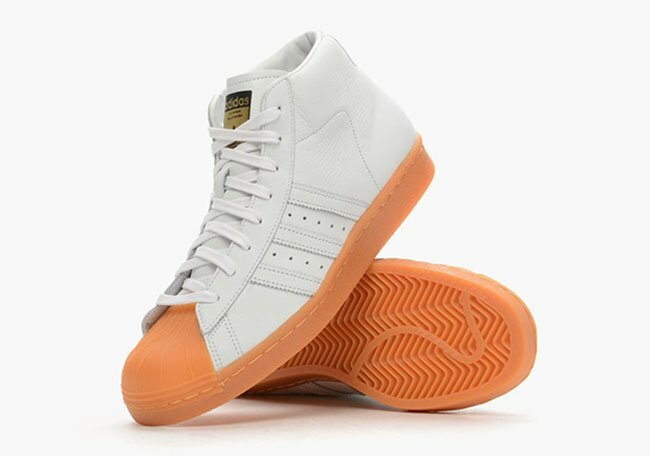 For those that are interested in purchasing, they are now arriving at adidas Originals retailers like Caliroots. 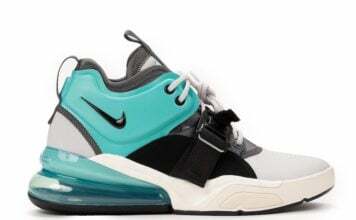 Retail price is set at $140 and at the time of writing, pretty much a full size run is available.